I fell in love with dyeing fabrics and yarns in college. White yarns and fabrics are blank canvases with endless possibilities. Recently, I’ve been using natural materials to create the colors that I want to wear. 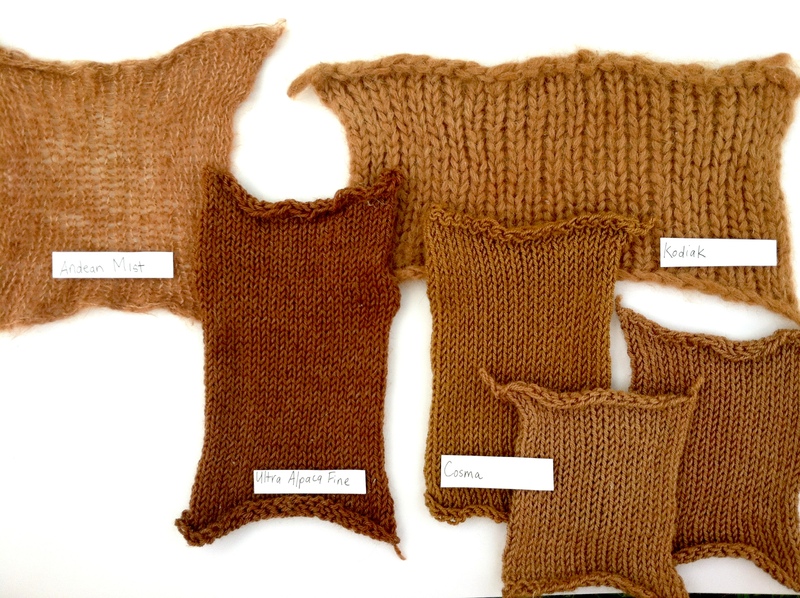 I love the earthy hues that natural dyes create. 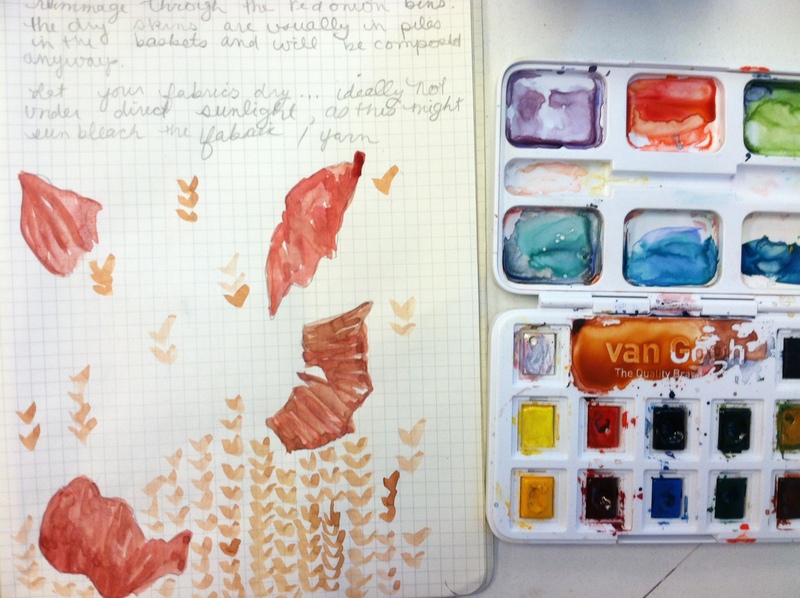 They remind me of the water colors that fill my sketchbooks. This weekend, I experimented with red onion skins. I went to my local grocery stores and asked if I could rummage through their onion bins. The bottom of those bins are full skins that are usually composted at the end of the day. 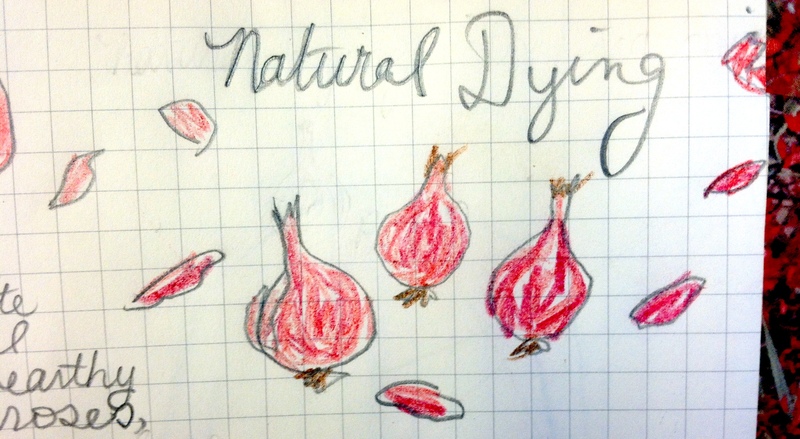 Dyeing with red onions is easy and fun. They create a beautiful range of pinks, roses and browns depending on the fibers that you experiment with. Cellulose plant fibers such as cotton, linen or bamboo dye a range of pale pinks. My results reminded me of a dried, pale pink rose. Protein fibers dye more saturated dark browns and hazelnut hues. Use a stainless steel pot. You don’t want to overcrowd your pot, so the more material you are dyeing the bigger the dye pot. Fill pot with water until the onion skins are fully submerged. Bring water to a boil for one hour. While water is boiling, soak your materials in a separate container of water. After an hour, scoop out the onion skins (I used a pasta spoon with slots) and place soaked materials into the dye. Keep materials in the dye bath on heat for an hour. Turn off heat and let the materials sit white the dye bath cools. I like the keep my materials in the dye bath for 24 hours. Then I pull them out and rinse in cool water until the water runs clear. Finally, I lay my materials flat to dry. For my experiments, I used Kodiak, Andean Mist (I love this yarn!!! ), Ultra Alpaca Fine and Maya in shades of white. I also experimented with three different colors of Cosma, to see how over-dyeing the yarn would effect the original color. It’s funny how similar the three colors came out after being in the dye, when they are so different in their original coloring. I love how the yellow became a tawny brown. 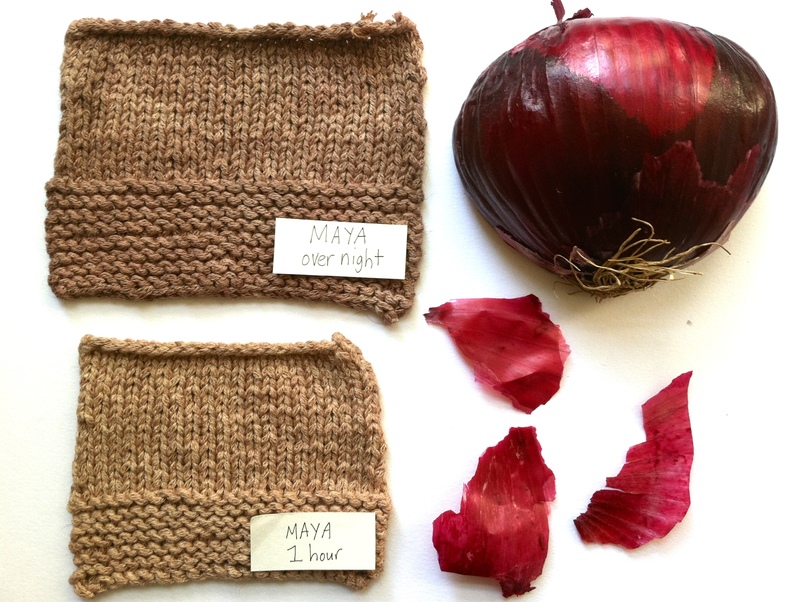 The great thing about dyeing with onions is that they do not require any other mordants or fixatives to help the fibers remain colorfast. Onions contain tannin a natural mordant which sets the color to natural fibers. Since the only ingredients are onions and water, you can use a pot you have at home in your kitchen. 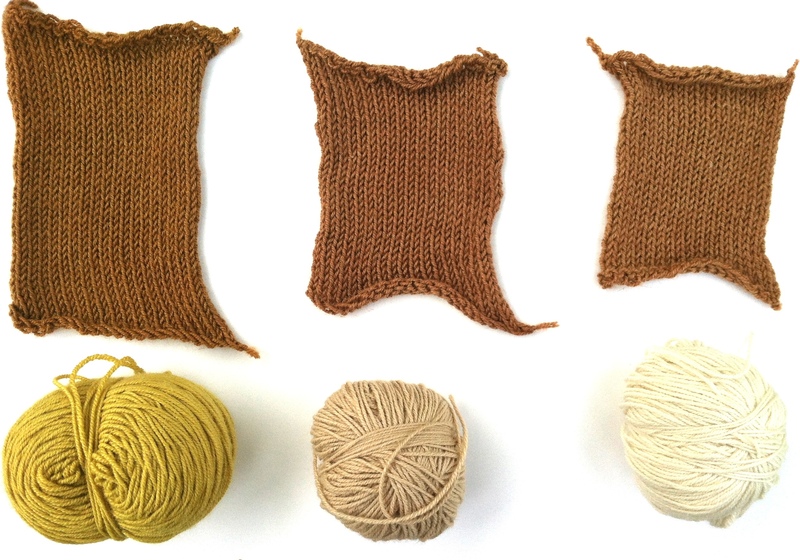 If you’re thinking about dyeing, this is a great option for your first project.